Today I had the privilege of filling in for Mr. Lyons at Pine Glen. As is normally the case, there were too many fun things happening to keep up. Below are a few of the pictures from my time in various classrooms. Thanks to the staff and students for being so welcoming and taking the time to fill me in on all of the exciting learning activities that they are involved in. I look forward to filling in again on Friday, February 7! 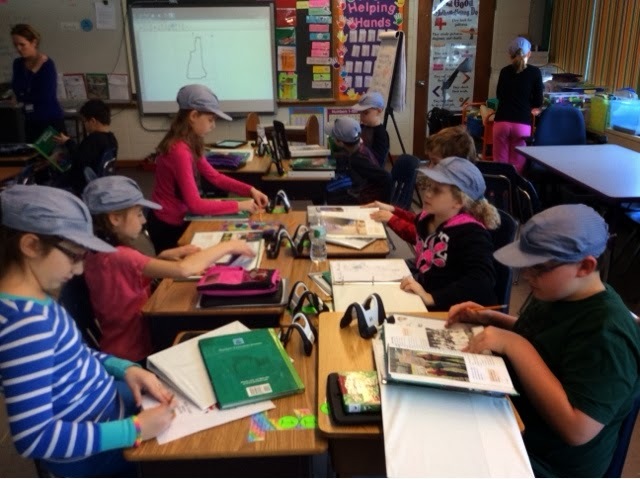 When I arrived in Ms. Hayes’ classroom, she and her students were on a train ride through New Hampshire. The second graders are involved in a research project on famous people from Massachusetts. 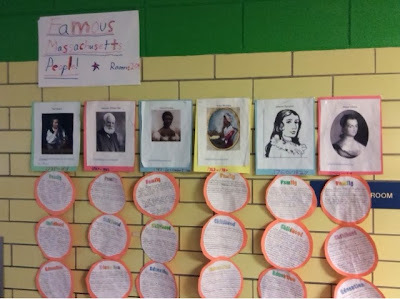 It was great to talk to them and hear how much they know about their historical figures. A couple of the girls told me that they are excited to make a visit to Oxford, MA to see Clara Barton’s House. I am impressed with how excited and committed these students are about their research. I am excited to see visit their wax museum at the end of February when each student will take on the persona of their historical figure. 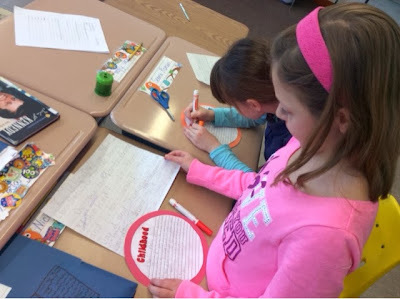 It was neat to see the different methods students utilized to go about their work. Some with iPads, some with Chromebooks, and some with pencil and paper. 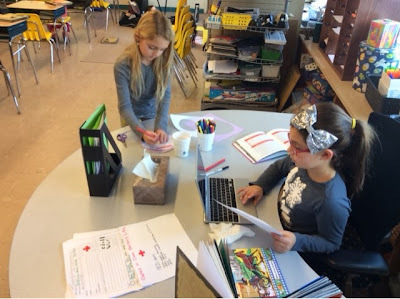 More research from Mrs. Lynch’s class. 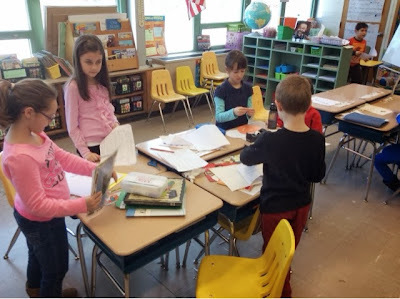 They were also working hard in Mrs. Cunha’s room. 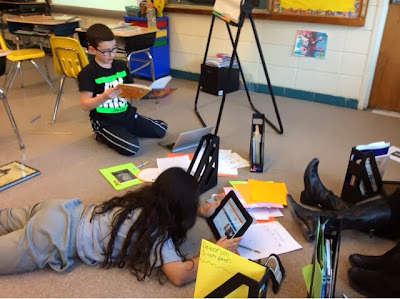 Mrs. Cunha’s class doing their research. 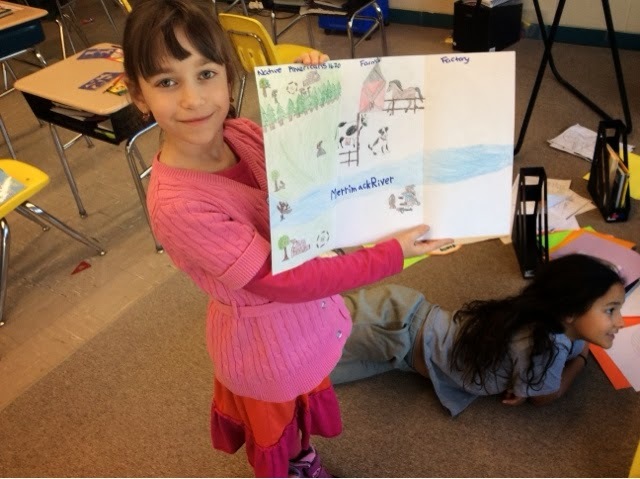 Some great art work of the banks of the Merrimack River through history.